Now is the time for you to plan for your office Christmas Party! Staff here at Venue Cymru are busy preparing for this years’ Christmas Parties. Our party nights take place on Friday 7th December, Saturday 8th December, Friday 14th December and Saturday 15th December. 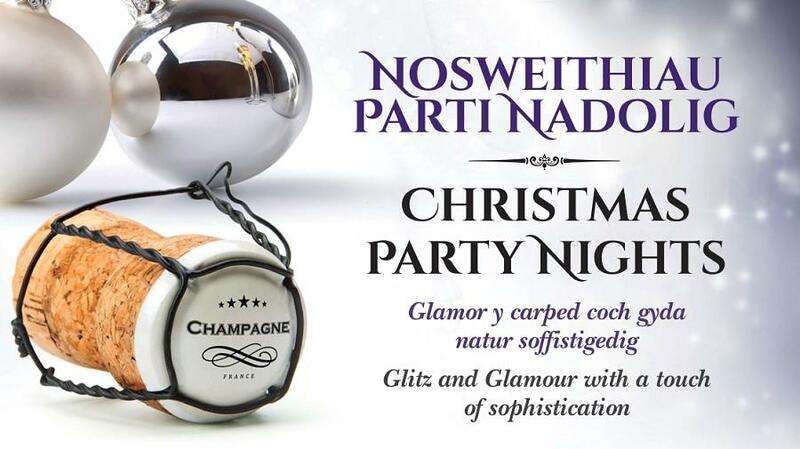 Make this Christmas Party a memorable one, so join us to drink, dine and dance the night away as the Hall at Venue Cymru will be transformed in to a fully themed party venue.